Picture myriad mangrove cays stretched out over 160 kilometers of blue water, beaten down mainly by the hand of the sun and hurricanes. That’s a pretty fair description of Jardines de la Reina, an archipelago roughly 60 nautical miles off Cuba’s south coast. 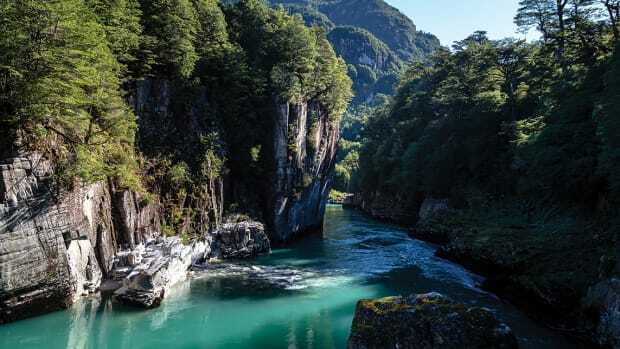 Wind, water, time and a non-existent economy have left this protected marine park in a pristine state. As such, the Gardens of the Queen is considered a reference for what a coral reef ecosystem should look like. 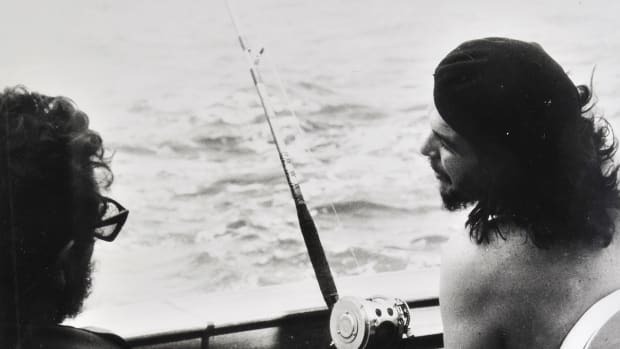 The author found an abundance of fishing options on his first trip to Cuba, last winter. The bonefishing was very good, and he had plenty of shots at permit and baby tarpon. 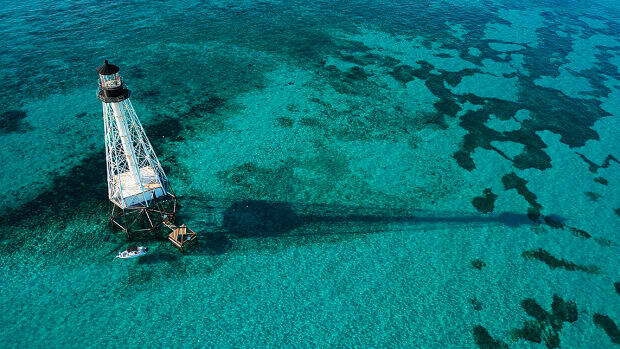 With nearly 6,000 kilometers of mangrove-lined coast, there’s an abundance of fishing options, which is why I’m headed back to Cuba this winter to co-host a fishing trip to this archipelago. 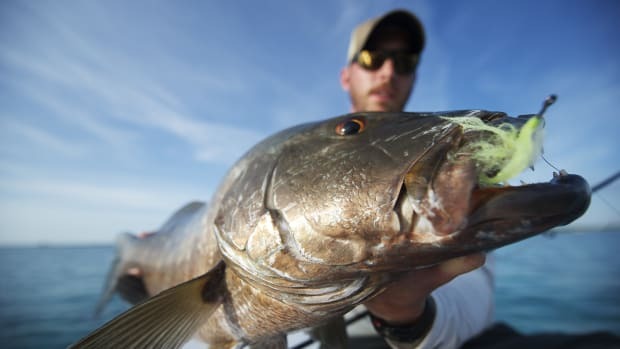 There’s a lack of fishing pressure on these waters because only one company, Avalon Cuban Fishing Centers, can operate guided excursions in the park. 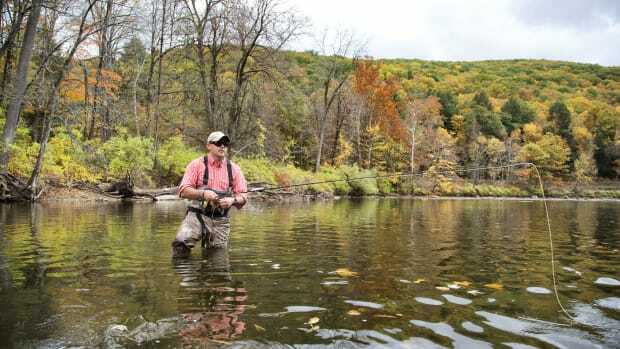 Even better, you’ll never see another angler other than the small groups with Avalon. 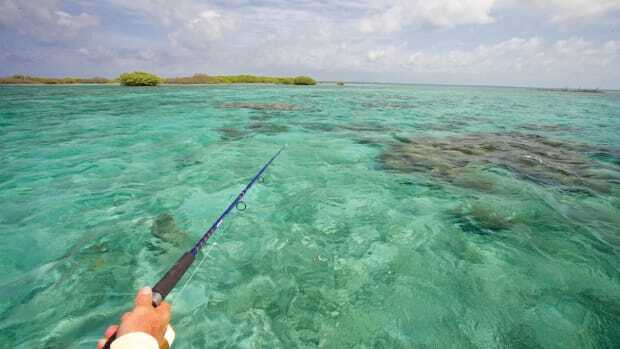 I fished Jardines de la Reina last winter for the first time, and we had plenty of shots at permit and baby tarpon. The bonefishing was very good; we saw schools of 100-plus bones nearly every day. 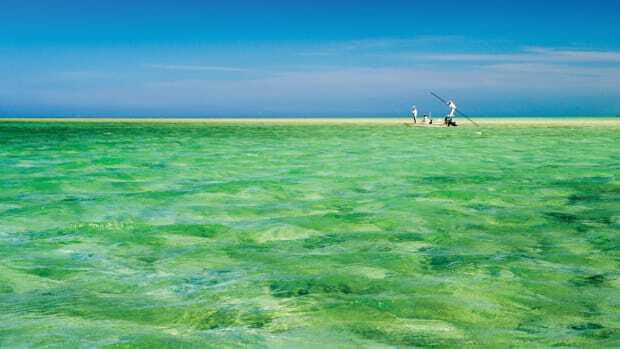 Leeward-side tidal flats stretch on for kilometers and provide the sandy bottom habitat for these large schools of bonefish. 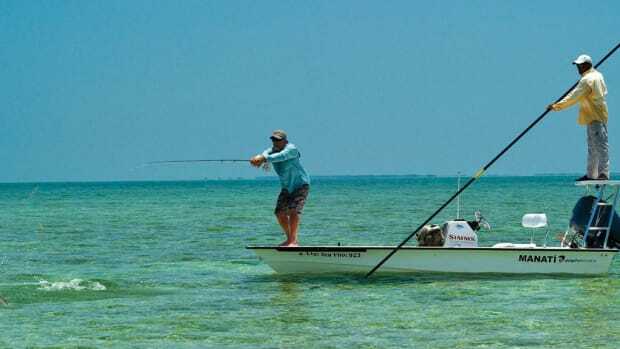 On deeper ocean flats, permit hunt the sandy bottoms and can be spotted tailing the fringes of the shallows. Tarpon stalk prey in the mangroves. Barracuda, sharks, mutton snapper, cubera snapper, jacks and a host of other species are found in good numbers in these waters, too. “Cast to the color white, 20 meters, 11 o’clock. Now,” instructed Keko, who has been guiding these waters for more than 20 years. Keko’s fisherman father taught him the lay of the flats and mangrove cuts. “Strip. Strip. Wait. Strip. Wait. Strip. Up. 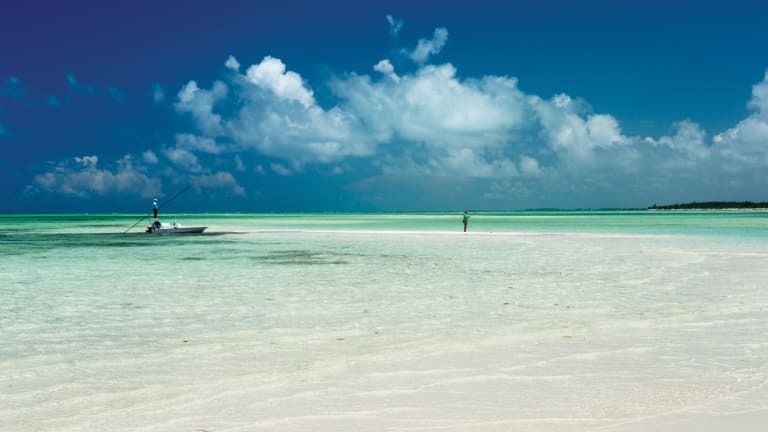 Up,” said Keko with polished enthusiasm as my first Cuban bonefish ran off into the backing. That was the first of many bonefish. Like many Cubans, Keko has a strong sense of pride in his country and Jardines de la Reina. His smile speaks of his joy of guiding. And from what I could see, an ethos of rampant materialism doesn’t yet apply in Cuba. 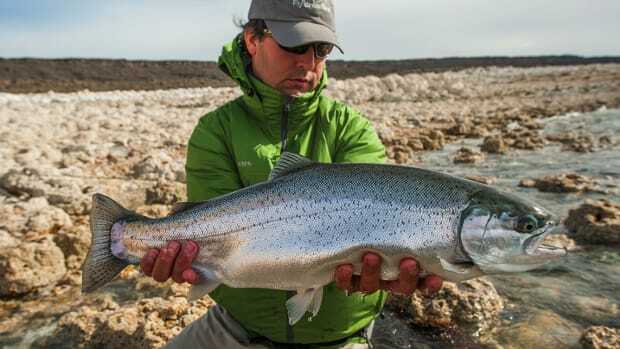 Though the environment is harsh and saltwater flats fishing can be challenging, this special marine wilderness evokes a powerful sense of place in anyone who is fortunate to have fished it. 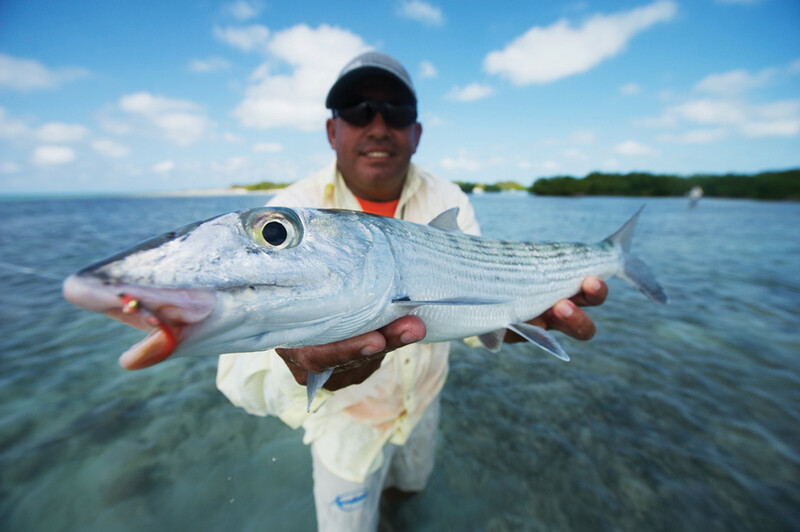 A fly guide from Idaho discovers more than just bonefish, tarpon and permit on his first visit to Cuba.